Like Group C, there seems to be one team who’s expected to walk the group whilst the rest battle for second spot. Denmark have managed to build a strong side based on a sturdy defence. Japan showed England that they aren’t lightweights either and play nice possession football. Then there’s the African heavyweights Cameroon, who have one of the best strikers in the world, Samuel Eto’o. The battle between these three sides will certainly be intriguing. The Danes have arguably built their best side since their Euro 92 victory, although their last visit to a World Cup was also impressive. In 2002, they looked comfortable in the group until being taken apart by England. After missing out in 2006, they’ve recovered and rebuilt a fairly robust team for South Africa. Their qualifying group looked tough, with Portugal and Sweden also in there, but Denmark ran away with the group. They beat both away from home. Very impressive. The spine of the team is where the Danes excelled in qualifying. They have two young and talented centrebacks in Liverpool’s Daniel Agger and Palermo’s Simon Kjaer. Kjaer is highly rated across Europe and has been linked with many top Premier League clubs. A good performance in this tournament will certainly improve both player’s value in club football. Denmark only conceded 5 goals in qualifying and kept 7 clean sheets, so this water-tight pairing should do well. Failing that, Per Koldrup is a decent back-up. Stoke goalkeeper Thomas Sorensen proved a worthy successor to the Great Dane Peter Schmeichel, but an elbow injury late in the season could be bad news for the Danes. The central midfield pairing of Christian Poulsen (Juventus) and Daniel Jensen (Werder Bremen) is also strong. Poulsen tends to sit deep and help the back four when needed, but can often run into space and prove a real handful. Jensen’s a hard tackling midfielder and is also well discplined. Don’t expect this side to dazzle the crowd with exciting wing-play, because they simply don’t have any quality on either side. Jesper Gronkjaer and Martin Jorgensen are both over 30 and won’t be running past many centre backs. The problem is even worse further back. Blackburn’s Lars Jacobsen isn’t up to the quality of the rest of the defence and AZ’s Simon Poulsen doesn’t have enough international experience. Denmark also lack a top quality forward to support lone frontman Niklas Bendtner. Soren Larsen plays for German second divison side Duisburg and Mikkel Beckmann plays for Danish side Randers. Both don’t seem to have the quality to excel at the World Cup. European journeyman, Jon Dahl Tomasson was brilliant in 2002, but he’s 33 now. This underlines one of the key problems the Danish have: this side has a lot of veterans and a lot of inexperienced players. He’s been in charge for almost a decade now, and over that time has managed to create two very good Danish sides. He loves attacking football, which is the main reason Denmark won their group. With some very creative players at his disposal, he could well. However his unwilling to change tactics could be his downfall. PREDICTION – Too many questions surrounding fitness, they could make it out of the group if Bendtner plays well. But will get knocked out soon after. We saw a lot of this side in England’s friendly and I don’t think anyone expected Japan to prove a challenge for England. But they were pretty impressive, holding the ball well and proving that England’s defending from set-pieces isn’t as great as we thought. Japan come into the tournament hated by their own media, mainly believing that Okada was a poor appointment. They have some good players but can they make it out of the group? Japan have a history of producing top class midfielders for example Shensuke Nakamura and Hidetoshi Nakata. Yashuito Endo is a versatile midfielder who can act as an anchor or the creative man of the four. Makoto Hasebe has been impressive at Wolfsburg and will provide the attack down the right. Experience is provided by Shensuke Nakamura, who often scored superb free-kicks at Celtic and now at Espanyol. If the midfield generals perform to their absolute best, then Japan can pass it around like the best of them, and also be a threat from set-pieces. Marcus ‘Tulio’ Tanaka proved, apart from scoring great own goals, that he’s a brutal centre-back. Dirty, yes, but he may be the inspiration that Japan desperately need. He can also score from corners as proved against England. Like Denmark, the striker pool isn’t great , bar Keisuke Honda. They lack a hitman up front which can often be the turning point for mediocre teams to make it out the group. With all their flair in midfield, you need someone to finish the moves off. Shinji Okazaki is likely to lead the line, although against England he had several chances and didn’t finish them. This suggests that Japan will struggle to break through tougher teams, and this is certainly an issue when you’re considering the weakest in the group. The CSKA attacking midfielder has shown his quality in the Champions League this season and he’ll have to help the forward line if Japan are to make it any further than a group stage exit. Another great free kick taker. A football manager with a worse press relationship than Jose Mourinho in Italy. Hated when he took over, and has done little to make amends since. Harsh considering his record against big teams isn’t too bad. Reluctance to change players is his major weakness. PREDICTION – Group stage exit, mainly as they’ve never won a World Cup game outside Japan. It would be very harsh to say that this team is based on one player. But that is unfortunately the case. Samuel Eto’o remains one of the best strikers in world football, renowned for his finishing and off-the-ball movement (in my opinion the best in the world for it). Although this hasn’t stopped Cameroonian legendary footballer and dancer, Roger Milla from criticising Eto’o saying he does ‘nothing’ for his country. Milla would do better sticking to Coca Cola adverts with the ubiquitous Ian Wright. Out of the African sides, they have the easiest task to make the knockout stages. But this preview isn’t just about one man, let’s have a look at the rest of the squad. Apart from Eto’o, other young players are really starting to shine, particularly Alex Song, Sebastian Basong and Benoit Assou Ekotto, both playing well this season for their English clubs. 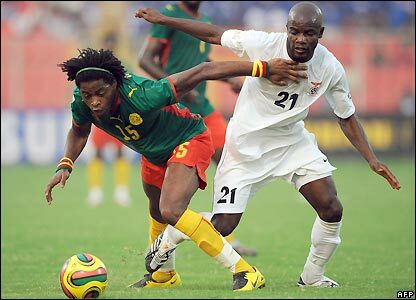 Jean Il Makoun is also a great central midfielder, often the hard tackler. He can also score from long range, however his place could be taken by Song. Achille Webo will do his best to support Eto’o from the wings in a 4-1-2-3 formation. He has a very good scoring record at international level. Keeper Carlos Kameni is a superb shot-stopper as well. The younger generation have arrived, now is their time to show the rest of the world about African football. The defence doesn’t look capable of maintaining the performances shown in qualifying. Geremi was a sensational player 10 years ago but he’s past his best, and he’s hardly played this season for Turkish side Ankaragücü. Creativity could also be an issue as the midfield doesn’t have an outstanding candidate for the playmaker role. Finally showing the reasons why Arsene Wenger brought him to Arsenal very early on his career. Has filled in at centre-back this season. Occasionally lapses are his main problem and he’s certainly have to be exceptional against Holland and Denmark if they are to take anything from either game. Won Ligue 1 with Lyon consecutively for 3 years but been in the doldrums since. After his brief and torrid time at Rangers, he’s found himself in the hot seat here. Bit of enigma, and that’s putting it lightly. Talented manager but he’s found it tough to win over the fans. 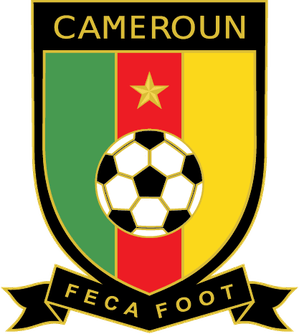 PREDICTION – Team politics could undermine the best chance they’ve had since Italia 90, Le Guen’s unpredictability (plus not winning any warm up game) means a group stage exit for me.